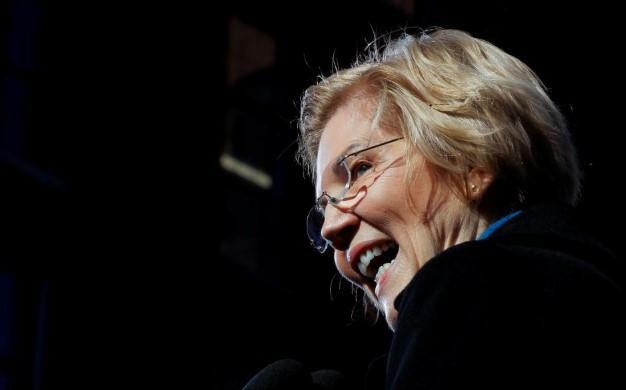 Elizabeth Warren Wants To Tax The Rich To Fund "Universal Childcare"
Elizabeth Warren has been setting a breakneck pace - even for a Democrat - for finding new social programs to pay for with new tax proposals. Reuters reported that Warren's most recent proposal - a universal childcare program - would, like everything else Warren has proposed, be paid for by higher net worth individuals. The program would be funded by the federal government and would use existing childcare facilities and in-home providers. The tax would apply to individuals that have a net worth of $50 million or higher - outside of Warren's own reported $8 million net worth. Warren has labeled the tax the "ultra millionaire tax" and her campaign believes that it would generate $2.75 trillion in government revenue over 10 years. “In the wealthiest country on the planet, access to affordable and high-quality child care and early education should be a right, not a privilege reserved for the rich,” Warren said. Despite the fact that most states already offer public education around the age of five, Warren wants early education and universal childcare to be available to every family. The proposal says that the cost of childcare would depend on a family‘s income. Families that make 200% more than the federal poverty line, which is about $50,000 or less for a family of four, would get childcare for free. For those who make more, payments would be capped at 7% of their income. As an example, a family making $125,000 a year would pay no more than $8,750 a year for childcare. An average family in New Hampshire currently pays about $21,000 a year, according to Warren. With candidates like Bernie Sanders now entering the election fray, there seems to be several main themes for the Democrats in 2020: going as far left as possible, raising taxes and expanding federal programs. Given what Trump's tax cuts did for the stock market, and with our national debt now eclipsing $22 trillion, we're not sure how that's going to go over with voters. Of course, if you're worth $50 million or more, even if you don’t have children, this just adds to the list of things you will be subsidizing for the rest of the country.